Make sure that you check for any cuts, swelling, red spots and blisters every day. This will help you detect any foot problem early for you to treat it and avoid damages which could have otherwise been avoided. Doing this is important since your feet may be numb and you may not be able to feel it yourself. Use a mirror or ask a friend to help check the bottom of the foot. If you can be able to strictlycheck on what you eat or exercising, then your sugar level will be well controlled. This will prevent many foot problems which could have risen due to high sugar level. Always consult your health care provider on what to do to control it. Use warm water with a mild soap to wash your feet. Avoid using hot water as this may lead to calluses. To check for water temperature, use your elbow. Ensure to dry the feet not forgetting in between the toes thoroughly. In case you have mild corns and calluses, then you can personally get rid of them. A pumice stone will help you smoothen it. If it is severe then see your doctor immediately. Make sure that the shoes you wear fits well to prevent blisters ad to make you feel comfortable. Look for any debris before wearing them and ensure that you always put your diabetic socks on for additional protection. Avoid walking barefootsince objects may bruise your feet which may take time to heal. Use moisturized skin lotion on top and bottom of the feet to prevent it from drying. Dryness causes cracks which may invite germs that can cause infection which can be hard to heal. Never apply it between the toes. When trimming them do it carefully by doing it straight across then file the edges afterwards. Avoid using sharp objects when trimming to avoid cutting your foot. A lot of heat can cause calluses and it is important that when hot wear your shoes whether walking on the beach or a pavement. Also when it is cold, always put your socks on especially at night. Being physically active helps in improving blood flow to the feet and prevents them from swelling.Swimming or cycling can greatly help. You can also consult your doctor on the type of physical activities to engage in. When sitting, put your feet raised to help in blood flow. Wiggle the toes and also move the ankles up and down. Avoid smoking or crossing your legs as this may reduce blood flow to the feet. Also, you can try using a foot massager to help in blood circulation in your feet. Always go see your doctor for checkups for early detection of any foot problems. This is because your feet may be numb making it hard to feel pain when injured. In case of blisters, sores or cuts, make sure to call your doctor. 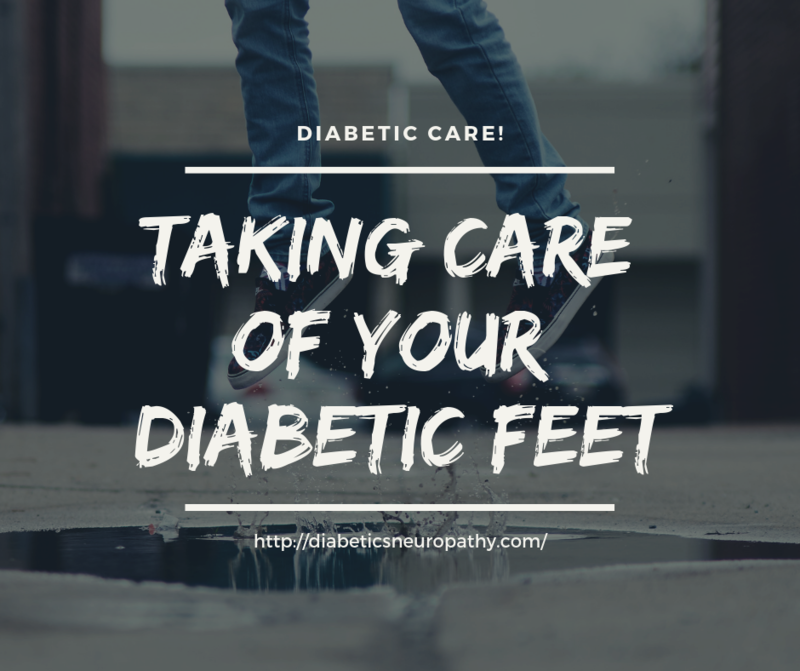 These are just basic things you ought to do if you are diabetic to prevent any serious foot problems. Ensure that you take good care of your feet to prevent foot problems as well as amputation that may be caused by infections. If you notice an alarming change, make sure to see the doctor immediately for early treatment. There are people who feel that golf game is a boring game that is only played by the rich and lazy people. Many of those people do not understand the health and social benefits of playing the game. Just like Tiger Woods, I was introduced to the game by my dad when I was young and this made us build a solid bind during the time. I have reintroduced the game to my sons and now my grandsons. Also, I have continued the tradition to people I have taught the game and now they’re world champions. The game doesn’t require a massive quantity of physical activities when you compare it with Rugby or American football. The less activity required makes it an easy game to play the game without getting hurt. Thus, people who are overweight can comfortably play the game well. It can be played by individuals of all ages. For example, a kid as young as two years like Tiger Woods was introduced and as old as over 100 years. Once you learn the techniques of the game, you can comfortably play it for the rest of your life. It is possible that you can play golf with people who are not your age such as father and son. The best thing about golf is that individuals with a diverse level of skills can comfortably play it. Thus, even if you’re worse or better than your friend, you can comfortably play the game as you will be playing your ball independently. There is no point that you will be perfect on the game that you won’t require some training. There are chances to shoot a lower score or play some harder courses. The game is exciting as every time you hit the ball, it can lead to a diverse situation even if you play the same hole or course repeatedly. This makes the game interesting due to the various exciting scenarios and different events. Also, it is a good exercise to walk the course while carrying your best golf bag. The course offers you a lot of fresh air that fills the lungs through exercising in the outdoors. The golf game is also good for the heart. It is also fun to drive the cart especially if you’re still a young man who wants to have some good time driving. It helps to meet different people and business associates. 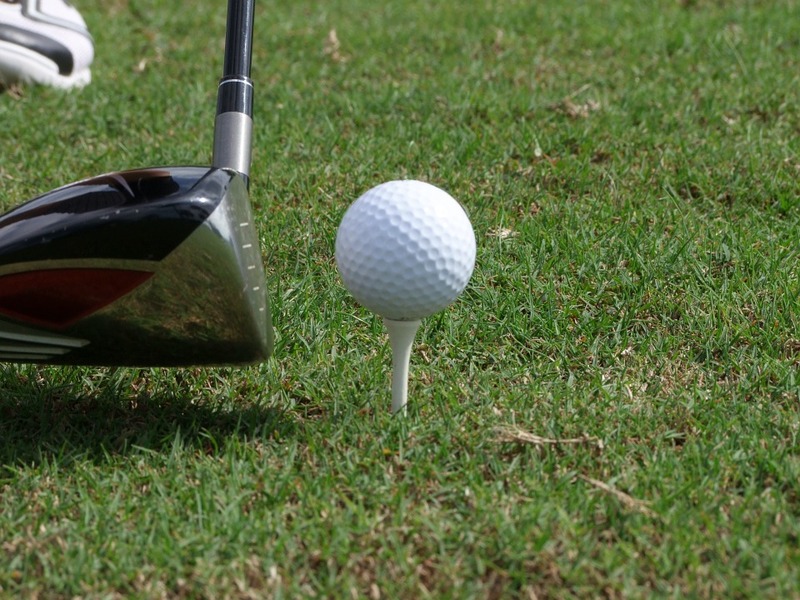 Golf courses offer the best opportunity to make business deals and plan on various business strategies. It offers you an opportunity that may be at different career levels or companies. Golf provides quality time with family where you can practice the game with your wife or son and just have some good time. The various rules of the game build character and assist people to follow various ethical ways that are beneficial to them. The exercise and social interaction in the course will help to relieve interaction in the golf course. It is also very satisfying when you hit the ball the right way and make progress in the game. There are numerous benefits of playing golf bags and that’s why you will find people moving to the golf course every now and then. It can be played for enjoyment, relaxation, or professionally. Thus, if you want to have the health and social benefits, you should start learning the golf game. Pharmaceuticals industry until 1980: Most commercial drug companies were large enterprises, fully integrated from drug discovery through clinical development, regulatory affairs, manufacturing, and marketing. Drug discovery was conducted in house and, at least in the early part of this period, was dominated by large-scale â€œrandom screeningâ€ programs with limited requirements for deep knowledge about fundamental physiological processes. Licensing activity was driven largely by downstream concerns: Rights to sell drugs that were already approved (or in the late stages of clinical development) would be acquired to maintain efficient levels of use of manufacturing or marketing assets or, in the international context, to take advantage of local knowledge and access to regulators and distribution channels. Upstream technology was largely acquired either â€œfor freeâ€ by reading journals and attending conferences or by purchasing tangible inputs and services, such as scientific instruments or highly skilled graduates. Pharmaceutical companies appropriated returns from R&D through a combination of extensive patenting, proprietary know-how, brands, regulatory barriers to entry, and favorable product market conditions. Most of these firms were long-lived, mature organizations, tracing their roots back many decades, often to the nineteenth century chemical industry. Their large and sustained investments in R&D, marketing assets, and human and organizational capital were largely financed from internal cash flow. Competitive advantage was driven by firmsâ€™ ability to effectively manage product market interactions with regulators and end users and to â€œfill the pipelineâ€ with internally developed blockbuster drugs. In turn, the productivity of internal R&D appears to have been driven by economies of scale and scope in conducting research, efficient allocation of resources in internal capital markets, and the ability to capture internally and externally generated knowledge spillovers. In the upstream not-for-profit sector, taxpayers (and to some extent philanthropists) supported curiosity-driven research conducted at cottage industry scale inside government labs, universities, research institutes, and teaching hospitals. Legal constraints and a strong set of social norms limited commercial or contractual contacts between drug companies and the world of â€œopen science.â€ Resource allocation in the not-for-profit sector was driven by peer-reviewed competition for grants on the basis of scientific merit and the reputation of individual researchers. The importance of establishing priority and reputation drove early and extensive publication of results, and social norms (and requirements of granting agencies) promoted routine sharing of research materials. Not-for-profit researchers concentrated largely on basic science and filed few patents. 1980 and beyond: After decades of stability and consolidation, in the 1980s the for-profit side of the industry experienced significant entry from biotechnology companies, many of which positioned themselves as an intermediate sector between academic research institutions and Big Pharma. By the mid-1990s several thousand biotech ventures had been launched, and several hundred had reached sufficient scale to be an important force in the industry. Existing vertical relationships were disrupted and reformed, with the new companies straddling (and blurring) the divide between for-profit and not-for-profit research. Although most were overtly profit oriented, they also had much tighter personal, geographical, cultural, and contractual links to nonprofit research institutions. Academic scientists played a particularly important role in the founding of these companies, either moving out of academic employment or participating actively in both worlds. While some of the new companies sought to be fully integrated horizontal competitors with Big Pharma, and a handful succeeded in doing so, most assumed the role of specialist suppliers of leading-edge technology to downstream firms. Several developments were responsible for such changes. First, revolutionary scientific discoveries in the 1970s, such as gene splicing and the ability to create monoclonal antibodies, opened up new areas of research, and the pace of discovery in basic biomedical science accelerated dramatically in subsequent decades, raising the importance of close contact with university science. At the same time, developments in patent law brought much of molecular biology and the life sciences within the ambit of the patent system. Without patent rights in inventions in areas such as isolation and purification of proteins, DNA sequences, monoclonal antibodies, knockout and transgenic organisms, gene expression systems, and so on (or at least the prospect of obtaining and enforcing them), many biotech companies would never have been founded. The passage of the Bayh-Dole Act also relaxed barriers to licensing of government-sponsored research. Before Bayh-Dole, government had invested large sums in U.S. research in academia but had also retained property rights in the innovations. Increasingly dissatisfied with the paucity of commercial successes derived from this investment, government (through Bayh-Dole) assigned property rights (patents) to universities and forced universities to establish technology transfer offices. Such offices were notified of all innovations by university researchers and were charged with finding outlets for these inventions. Finally, changes in tax and financial regulations brought about a venture capital industry (and ultimately a stock market) that was willing to support inexperienced companies entering a market with a seven-to-ten-year product development cycle. At least in the U.S. equity markets, tolerance for risk has risen, and after a few well-hyped early successes, investors became comfortable with the idea of â€œhigh science for profit,â€ developed a shared language and conceptual framework for valuing these new ventures, andâ€”periodicallyâ€”have been willing to support the new sector with substantial injections of capital. The revolution in life sciences also affected organizational and managerial aspects of drug research. As drug discovery became more science-intensive, with increased emphasis on â€œdeepâ€ understanding of physiology at the molecular level, it became not just more expensive but also more difficult to manage. As â€œrational drug designâ€ took center stage, changes in the nature of research activity were accompanied by complementary changes in the internal structure of commercial R&D organizations. Drug companies began to look and behave more like universities, with increasing emphasis on collaboration, publication, and exchange of (precompetitive) information. This was accompanied by increased willingness to exploit external sources of technology, through in-licensing or strategic partnerships. In this environment, specialist research firms could expect at least to survive, if not to prosper. At the same time, the growing cost and complexity of academic research projects forced successful scientists to acquire managerial and organizational skillsâ€”leaving them better equipped to run business ventures and looking much more like entrepreneurs and managers to outside investors or business partners. As rising costs and growing societal pressure to justify their budgets pushed universities and other publicly funded institutions to become more tolerant of â€œjust-off-campusâ€ commercial activity, or even to actively encourage it, this cadre of scientist-entrepreneurs was well positioned to take advantage of the commercial opportunities their research created. By 1990 it was clear that biotechnology was here to stay. Although investorsâ€™ interest waxes and wanes, fresh waves of entrants have been able to take advantage of periodic opening of the financing window, and the pharmaceutical industry has developed a new vertical structure, with biotech â€œtoolâ€ companies as a specialized layer between Big Pharma and the nonprofit sector. Big Pharma now increasingly relies on the research tools and product leads provided by biotechs, and 25â€“40 percent of its sales are reported to come from drugs that originated in the biotech sector. The orderly world of the â€œwaterfall modelâ€ has been replaced by one in which information and materials circulate rapidly between not-for-profits, Big Pharma, and the biotechs, supported by a complex set of contractual agreements and collaborative arrangements. Q1: Utilizing Figure 3.1 and Table 3.1 in your book, identify and categorize the changes in the macro-environment which enabled the entry of biotechnology companies into the industry. The episode of Hellâ€™s kitchen you are about to watch was shot in December 2012 at Amyâ€™s Baking Company (ABC) in Scottsdale, AZ. It was intended to portray the way business was being conducted at the establishment. While there are some obvious problems with the business, your task is to scrutinize it from an Operations perspective. As you are watching the video, list the Operational problems you identify (at least 3) below. Also consider what data (information) may be collected to better analyze the process and illustrate those problems. And then suggest possible ways to improve the processes involved. Next using the axes below applying two of the Competitive Product Space dimensions at a time (e.g., Price vs. Quality or Response time vs. Variety), illustrate where in Competitive Product Space you would place ABC and where the owners would like it to be. Add two other restaurants to these diagrams (use ABC and the same other two in all the diagrams). Each graph should present 4 points: ABCâ€™s current position, ABCâ€™s desired position and two other competitors. Describe the process competencies that are required to achieve ABCâ€™s desired position. Benchmark them relative to other well-known restaurants you are familiar with. In preparation for this discussion, watch the following videos. From your point of view, what are the two main take-away points in the two videos? Do you agree with either of these managers in this scenario? Explain and defend your position. As part of your argument with either of the two managers, find an article on the Internet that describes a company’s decision to relocate some or all of its business operations (goods or services). Describe this situation and summarize your findings. What reasons are stated for the relocation? What technological factors, if any, impacted the decision to relocate? Was any consideration given to employees who might be put out of work? Was any consideration given to containing costs for its consumers? Do you agree or disagree with a defendant requesting that the court grant his/her motion for a change of venue when there may be too much pretrial publicity? Explain. #9 Referring to exhibit 12.10, suppose that instead of 2,000,5,000, and 3,000 visits for an initial, regular, and intensive visit, respectively, the number of visits was 3,000, 5,000 and 2,000. Assume that the costs associated with intake, new visits, medical records, and billing do not change in number or distribution. Would there be a change in the overhead cost per visit of an initial visits using either the conventional or ABC method? Would there be a change in the total overhead cost of initial visits using either the conventional or ABC method? Louis Clark, the new administrator for the surgical clinic, was trying to figure out how to allocate his indirect expenses. His staff were complaining that the current method of taking a percentage of revenues was unfair. He decided to try to allocate utilities expense based on square footage for each department, to allocate administration expenses based on direct costs, and to allocate laboratory expense based on tests. What would the results be? Carol West, the nurse manager of the cystoscopy suite, was given approval to add more space to her current area by converting 500 square feet of administrative space into another cystoscopy bay. What will her new fully allocated expenses be? Assume that there are no new additional costs incurred by adding the 500 square fee? Bobbie Jones, the manager of the endoscopy suite, is concerned about adding more space. She contends that if the cystoscopy and endoscopy units were combined fewer staff would be needed, and direct costs could be reduced by 50,000 ($25,000 in each unit). She also feels that the day â€“ op area is underutilized, and that 500 square could be used by a combined unit when excess capacity was needed. Assuming that the 500 square feet were to be allocated equally between the endoscopy and cystoscopy suits in addition to the renovation as described in part B, what would the total allocated costs for each of these two services be under this scenario?